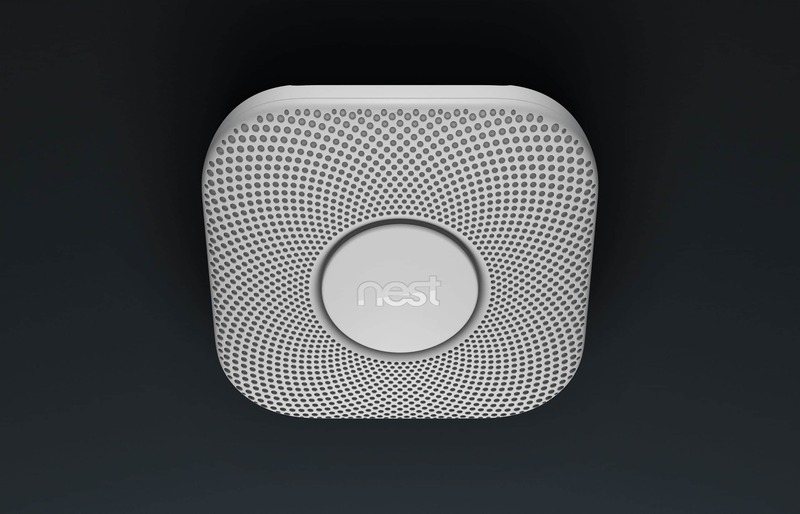 Nest Protect has been redesigned from the inside out. It has a Split‑Spectrum Sensor, tests itself automatically and lasts up to a decade. It’s also the first home alarm you can hush from your phone without any extra hardware required. And it tells you what’s wrong and can even alert your phone. Meet the Nest Protect. The smoke alarm other alarms look up to. Source: Nest carbon monoxide whitepaper, June 2014. Everyone should replace every smoke or CO alarm they own today with this product - it really is that good. It is absolutely brilliantly designed [and simple to set-up], and with its ability to communicate across alarms [e.g. your upstairs alarm announces that there is a fire in the basement], alert you remotely on your smartphone, self-monitor itself and other similar Nest alarms to let you know if something isn't functioning properly - you will always have peace of mind that you and your family are protected to the greatest degree possible. It's more like a guardian angel then a smoke detector. It lights my pathway at night so I don't walk into the bathroom door. It softy lets me know I'm burning breakfast, but it might sound a loud alarm if I don't get it under control. It's nice to get the reminders that the batteries are ok. I like the feeling of my family's safety. Great product, easy to install, works as expected. Installed a Nest Protect in the kitchen a bit over a month ago. The test alarm was very loud and clear, which means it would not have a hard time waking a family up if a fire started at night time. The night light is pleasant and soft, only comes on when there is movement and no other source of light, so great extra feature if you wake up during the night. Even though the alarm is in the kitchen within 6-9 feet from the stove, we haven't had any false alarms yet. Installation was easy, the screws really bit in the drywall ceiling and feels very solid.